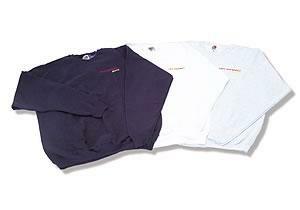 NEUSPEED Apparel - Sweatshirt UNIVERSAL - Dezod Motorsports Inc - Home of the automotive performance enthusiast since 2002. The NEUSPEED crew neck sweatshirt is made with a heavy 11 oz. cotton that will keep you warm in style with stretch cuffs and waist band. Each sweatshirt is precision embroidered with a red & yellow NEUSPEED Racing logo.